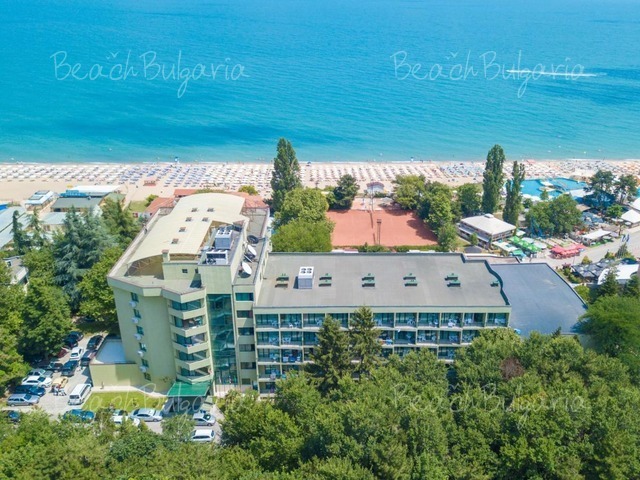 Perla Plaza hotel is situated in Primorsko resort, close to the beach. The hotel offers panoramic view towards Maslen Cape and Perla Residence. 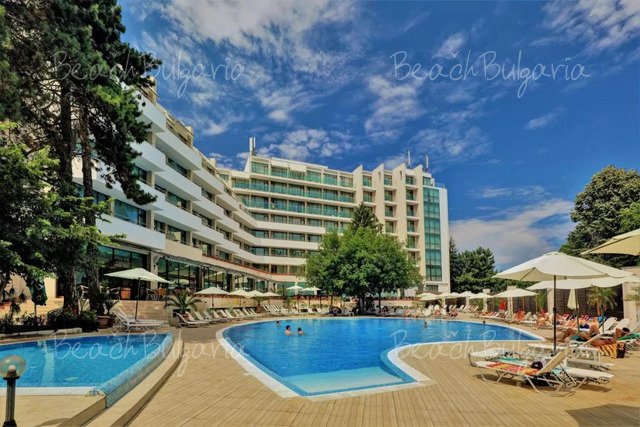 Accommodation in Primorsko is available in hotels of different categories, small family hotels, hotel complexes, villas and guestrooms in private houses. Primorsko is a center of the youth tourism, that's why there are student dorms and campgrounds, as well. 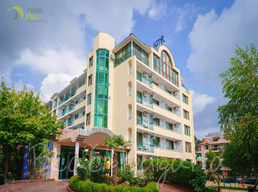 Check out some of the recommended hotels in Primorsko: Grand Hotel Primorsko, Arkutino Family Resort, Perla Hotels, Plamena Palace Hotel, Magnolias Hotel, Primorsko Holiday Villas, Prestige City Hotel. 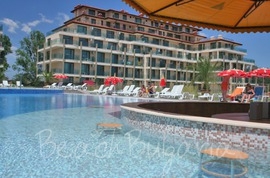 BeachBulgaria.com provides easy online bookings and all information for your comfortable stay in Primorsko resort on the Bulgarian Black sea coast.